Managing Authority and Joint Secretariat of the Programme organizes meeting with Financial Controllers in Kaunas. The aim of the meeting is to discuss and clarify requirements of the Programme towards the Financial Control of the projects. The focus of the meeting will be done on the projects that were approved during the 2nd Call for Proposals, a large portion of which recently have completed or are about to complete 1st period of project implementation and are preparing or already have submitted their first partner reports. 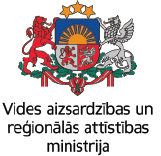 To encourage the discussion and exchange of the opinions to participate in the meeting are invited Lithuanian and Latvian Financial Controllers, representatives of Managing Authority and Joint Secretariat. The Agenda of the meeting (updated on 23 Oct. 2018). To register to the meeting please press here. The registration will be open until 2 November 2018. We also encourage participants to send questions in advance to the meeting. For more information on the meeting please contact Projects and Information Manager Inga Ringailaite (phone +370 5 261 0405, +370 659 63284, e-mail inga.ringailaite@vilniusjts.eu).